MDID (mdid.lib.jmu.edu) is an image repository used at JMU to discover and present images in a wide variety of learning spaces. May 14, 2018: Old MDID URL (mdid.cit.jmu.edu) retired. 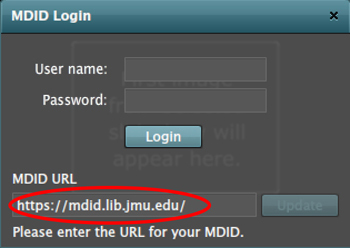 While JMU's MDID continues on alive and well at its new URL, http://mdid.lib.jmu.edu, as of May 14, 2018, we are retiring the URL mdid.cit.jmu.edu. This is the final step in retiring an old server machine. In Fall 2016, JMU Libraries migrated all of MDID's image collections from mdid.cit.jmu.edu to mdid.lib.jmu.edu. Furthermore on January 31, 2017, we were able to stop using mdid.cit.jmu.edu for the "Online Video Collection." We have access to the videos in the collection through other platforms. Please refer to this guide for assistance updating any Online Video Collection video links. On September 10, 2016, Libraries and Educational Technologies upgraded its MDID server and software to improve performance and ensure stability. As a result, many MDID links changed. If you have links into the Shenandoah National Park Application or related records, please refer to this list of corrected links. Please contact us if you have questions or need help updating links. Please contact the administrators to report a problem.